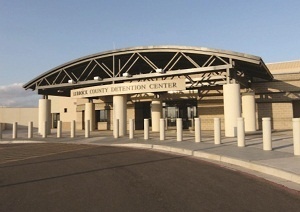 The Lubbock County Detention Center (LCDC) is one of the largest direct supervision county detention facilities in Texas with a current capacity of 1500 beds. 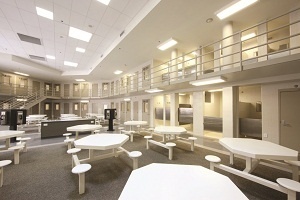 Since its opening in 2010, the facility has utilized the Morse Watchmans key control system, along with other state of the art electronic security and access control systems, to increase the safety and security of both inmates and staff. According to Captain Malcolm Chambliss, Day Shift Captain and Detention Response Team Commander with the Lubbock County Sheriff’s Office, the new LCDC facility was planned with the use of advanced technology as a high priority. He says the Morse Watchmans automated key control system, introduced to the planning committee by the architect, was a perfect match for LCDC’s objective of more effectively and safely operating the facility through the use of high end security technology. “Tracking keys from one shift to another is an essential procedure for maintaining a secure environment and the Morse Watchmans system provides that capability for us in an automated, easy to use way,” said Captain Chambliss. The KeyWatcher® system in place at LCDC enables the sought after accountability through its innovative engineering. In order for a LCDC guard or other authorized user to access a key, they must enter their pre-programmed PIN code on the cabinet’s built-in keypad. If the criteria entered matches the information stored in the system database, the key cabinet will unlock and the approved key can be removed or returned. Each individual key is secured to a SmartKey locking mechanism with built-in memory chip and this unique feature ensures that every time a key is taken from or returned to the Morse Watchmans key cabinet, the activity is recorded. Captain Chambliss notes that the combination of electronically restricted access and the monitoring of key usage add another layer of security to the key control system. “The system is extremely secure and has helped to improve our security procedures,” he says. 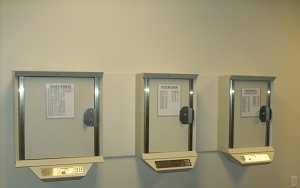 The LCDC has a total of four KeyWatcher key cabinets, each of which is network connected to allow online monitoring, updating and reporting. At any time, Captain Chambliss can view who currently has which keys out and when they are scheduled to be returned; or who has had keys out, for what areas and when. When keys are not returned as scheduled, e-mail alerts are sent to supervisors to allow quicker action. Activity reports for each key in the system can also be generated, or recorded information can be rolled into standardized databases and spreadsheets for further analysis.